If you want to enjoy delightful panoramas of Naples and Mount Vesuvius you should visit the districts Posillipo and Vomero. We tell you where you have the best views over the gulf of Naples. Naples is famous for its breathtaking panoramas over the gulf of Naples with the islands Capri, Ischia and Procida till the coast of Sorrento. The best views you have from the elegante district Posillipo and Vomero. Posillipo is probably Naples’s most beautiful and exclusive quarter. On a hill, there are gorgeous villas tucked away between trees, and small, intricate trails lead to the sea. From the steep coast, you have the most breathtaking panoramic views. Starting in Mergellina, a long winding road (Via Posillipo) with many elegant buildings leads to Posillipo. By taking the road, Via Marechiaro, and some stairs, you reach the famous panorama spot, where you can find excellent restaurants. Here you can see also the place where the folk song, “A Marechiaro”, was written. Virgiliano Park is located at Naples’s furthermost tip, Capo Posillipo. From there, you can enjoy wonderful views over the city, the Gulf of Naples and Pozzuoli as well as the islands Capri, Ischia, and Procida. It is a panoramic terraced park with many blooming plants and trees. This is the place, where artists paint the well-known panorama of Naples. The park is open during the day and is lighted in the evening. Easy to reach is the Vomero, a quarter whose hill and castle, Castello Sant’Elmo, rise over Naples and offer a beautiful view over the sea, Mount Vesuvius, and the lively city. At the foot of the castle is the convent complex of Certosa di S. Martino , which houses the National Museum of San Martino with one of the largest exhibitions of nativity scenes worldwide. From the terraced gardens, you have a stunning view of the Gulf of Naples. 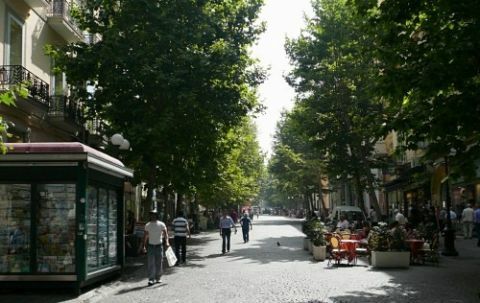 Because of the Vomero’s location, the air is a little bit fresher during the summer, which makes shopping in the elegant boutiques of the pedestrian area, Via Scarlatti, quite pleasant. 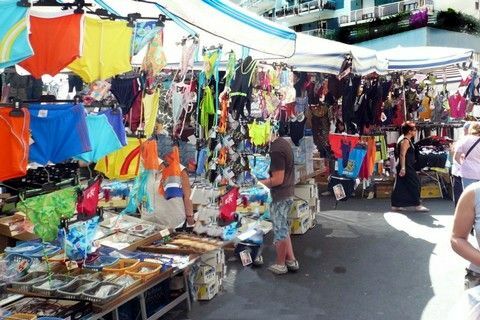 For a shopping experience in the typical ambiance, visit the Antignano market. Besides shoes and clothes, you will also find a market hall with fresh foods. Close to the market, fish sellers offer their products. Even if you don’t want to buy fish, the typical shops with clams, calamari, and other seafood displayed on the street are worth a visit. Close to the pedestrian area you find the beautiful park, Villa Floridiana, a cool oasis in the middle of the hustle and bustle of the city. Among others, it has stone pines, cypresses, as well as oak and sycamore trees and, from some spots, offers a wonderful view of the sea. By underground (subway) “Metro Line 1 – Vanvitelli station” or by funicular (Cable Railways) “Funicolare Centrale” at Piazza Augusteo in front of “Galleria Umberto I” till the last station “Piazza Fuga”. 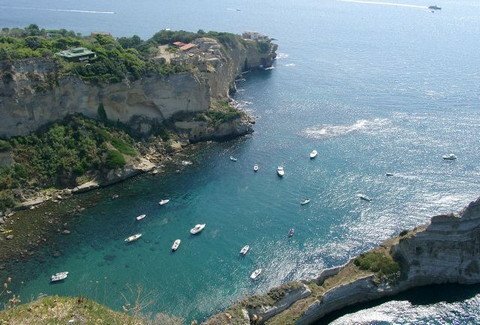 By Bus C31 from Vomero to Capo Posillipo or Bus 140 from Santa Lucia to Capo Posillipo. All data without guarantee. Timetable, bus and metro line subject to modification.